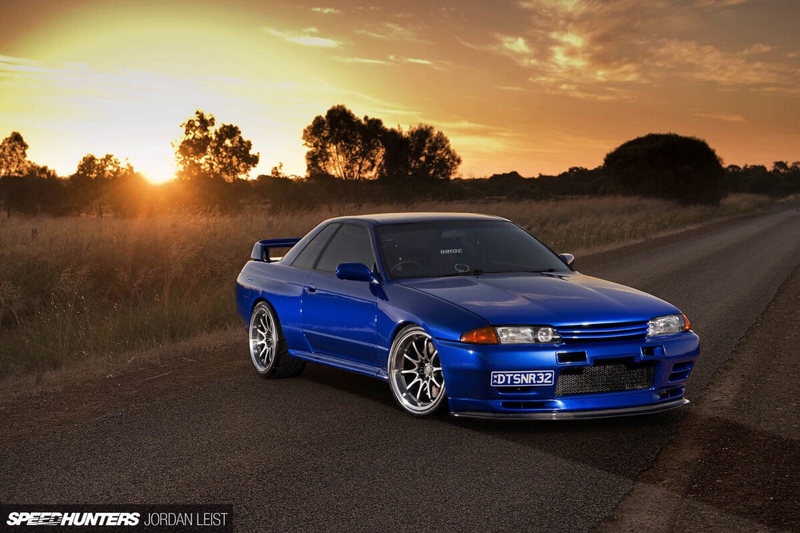 Well, it finally happened, I got some work of mine published on the famous Speedhunters website and I couldn’t think of a better car to start with, than my mate’s, ultra-delicious R32 GTR. The best part, Dave Maier, the owner of the car had no idea I was sending the images through. I hope it is a good surprise! Being from a Japanese car background, with Mazdas and Datsuns, I have followed the site for years and years, so eventually, I was going to try and offer some unpublished work of mine to the editors. I got the chance to meet one of main names behind the deal, Dino Dalle Carbonare, when I was traveling in Japan back in 2016. He took myself, my brother Clayton and one of my best mates, Andrew Goodwin around on a massive tour of workshops. We struck up a friendship there and have stayed in touch ever since. Earlier this year, Dino approached me to do some work for the site, so I happily obliged – it was a real honour to be asked. Hopefully this is a start of things to come and I get some more content on there and some Aussie stuff too, on a predominately, Japanese/Import based blog. Have a read on the Speedhunters website and early next week, I will post the images and article here.